We will depart on February 4th, 2018, arriving at our destination in Chile on February 5th, and will be back in the US of February 15th, 2018. Our first stop with be the domes on the famed Manuelas River, where we began our adventure with our 2015 group. 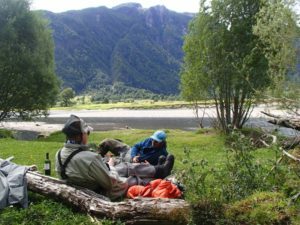 We’ll spend 4 days there, enjoy fishing local rivers & lagunas, great native Chilean cuisine, and a remote lodge that provides all modern amenities. From there we will move to another area called La Junta. We’ll be staying at a brand new hotel, with the typical spectacular surroundings, where we’ll stay for 6 days, enjoying again, local lakes and rivers. River fishing, ponds, fishing from boats casting dragon and damsel fly patterns to big browns and rainbow along the Juncales, or reed beds, are going to provide yet another spectacular adventure for Lila and I and our group. 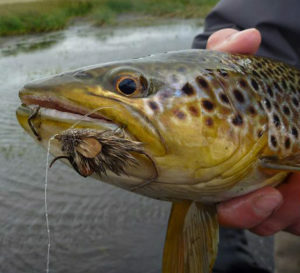 Past experience has shown that this is a terrific time for dry fly fishing as well. We will fish 10 days or parts thereof. 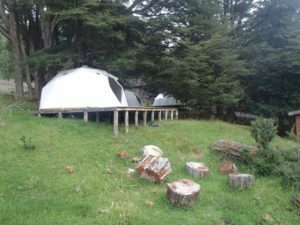 This is as always, an all-inclusive package that includes the following: pick-up and return to the Balmaceda airport near Coyahaique, all meals, lodging, guides, transportation from lodge to lodge, the superb Chilean wines and local beer. Typically, on the day that we begin our trip home, we will have a chance to shop and enjoy the community of Coyahaique, lunch in the street-side restaurant, and wind our adventure down, soaking in the local flair and color. The cost for this adventure is five thousand dollars ($5000.00) per person and as mentioned, is all-inclusive, excluding airfare. We have a quote from our travel agent here in our area who has handled every trip that we have made to Chile in the past. As of today, it appears that airfare rates have gone down a bit since our last trip. We have been give an quote of about $1200.00 per-person. Our expectation, based on past experience is that it will be in our best interests to purchase our tickets fairly soon, but we will have more information from our agent later. We are planning to follow the same plan as the last visit: those of us coming from Maine will be meeting in Augusta, where we will take the bus to Logan airport, and begin our journey there, then repeating the process coming home. Our suggestion will be that our agent here handle all reservations for our group. This ensures that we travel together and that we all arrive at the same time, which has worked very well in the past. Openings for this adventure are somewhat limited. As of today, we have 2 customers who will be joining Lila and I (Yes, Lila is coming….I can see it all now, out fished again!!!). If you are interested in hearing more about this adventure of a lifetime, please contact us soon as our Chilean group usually fills up quickly. We certainly have room for at least 4 additional customers.